Last month Google announced some new apps coming out in the communication realm. Specifically Allo (chatting) and Duo (vidoe calls) were announced to be coming in the not too distant future. Immediately questions arose as to why? Google does seem to have a history of creating multiple applications that can do the same thing. I see lots of questions on social media and in the Google Product Forums as to why these have been introduced. I decided to let the fanfare die out a bit and during that period scour the videos from I/O16 and the multitude of news articles to see what I can come up with as to a reason why Duo is being created. I mean, really, Google already has a good video calls application with Hangouts. From all my reading and watching, here is what I think (read: MY OPINION) as to the differences between the two and why Duo is coming about. 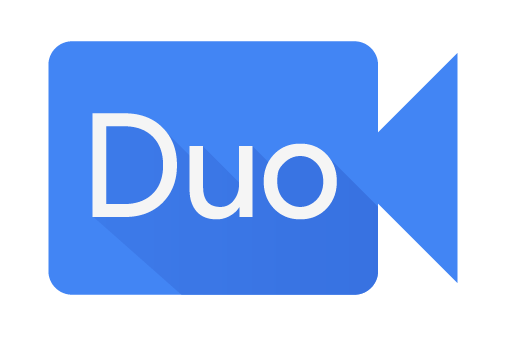 In my opinion, Hangouts is geared more to a business audience where Duo seems to be more for everyone. Hangouts has the ability to be used on mobile and desktop, where Duo as it was announced will only be a mobile app. This could change, but nobody other than the good people on the Duo team would know this. Hangouts has the ability to share screens, a good business use case, where I did not see any capability of screen sharing in any of the discussions, articles or videos about Duo. Hangouts also has the ability to include multiple participants where it seemed clear from the examples that Duo would be simply 1:1 video calls, similar to the video chat capability on the other operating system that is out there. Clearly the potential limitation of 1:1 video chat pretty much eliminates almost all business use cases. Again, these are all just my opinions from watching the videos that are available, but in the end it seems to me Google is trying to separate out specific applications for specific use cases, Hangouts for Business and Duo of personal use. Let me know in the comments what your thoughts are on why Duo and Hangouts would be co-habitated. I just want Google to decide on a standard for this thing. I am tired of them just making a new app rather then updating one. Why does the business solution have to be different from the everyone solution? I t is pretty clear to me that it is positioned to be a cross platform competition to FaceTime (which is still ll iOS only), and things like WhatsApp, etc. I agree this is a mess and makes no sense. But let's face it the average person will go to Skype if they we want a video call. Everybody I have ever asked doesn't have a clue what Hangouts are. One of the key things about Duo is that it uses your phone number as the identifier and thus a low barrier to sign up. I'm not sure if the knock knock thing is a killer feature. I'm guessing some will think it creepy. What a stupid write up. Basically you're justifying Duo's existence by listing its shortcomings compared to Hangouts. Idiotic.